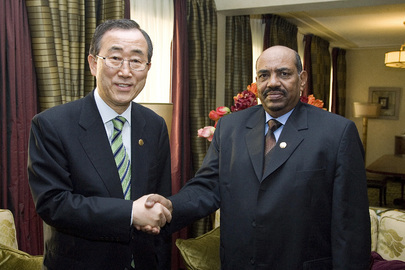 UNITED NATIONS, March 23 -- Sudan's president Omar al Bashir has claimed his indictment by the International Criminal Court for war crimes has made him more popular, in the run up to elections. He's said that after the elections, he will travel to Venezuela, a member of the ICC. Inner City Press on March 23 asked the UN about Bashir, and experts on the ICC about Venezuela's -- and Brazil's -- duties to apprehend Bashir. 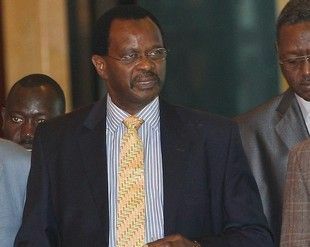 David Donat Cattin, Director of the International Law and Human Rights Programme at Parliamentarians for Global Action, replied that Venezuela has NOT invited Bashir, and would be obligated to arrest him. So too would Lula, he said, if Bashir flew over Brazil. Video here. 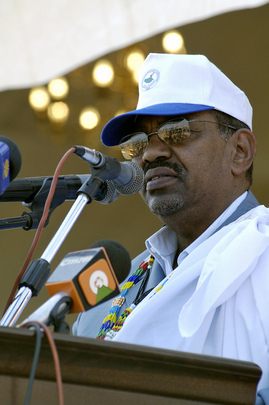 With the UN in Sudan in the run up to election, what does the Organization say when President Bashir threatens to "cut off the fingers" of elections observers? Nothing, is the answer.